Authorized Srixon Dealer. 30 Day Returns. 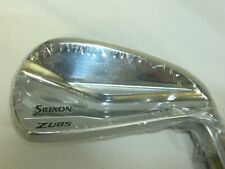 Srixon Z-355 5 Hybrid 26° Ladies Right-Handed w-HC! New ListingSrixon Z H45 22 Degree 4 Hybrid Stiff Flex Graphite Kuro Kage shaft. New ListingSrixon Z H45 16 Degree 2 Hybrid Stiff Flex Graphite Kuro Kage shaft. This page was last updated: 21-Apr 23:43. Number of bids and bid amounts may be slightly out of date. See each listing for international shipping options and costs.